After several months of negotiations, Alberta Health Services (AHS) has awarded Advanced Paramedic Ltd. (APL) a 10-year contract to be the primary provider of emergency medical staff for air ambulance services in High Level and Fort Vermilion, AB. This news comes just months after AHS’s announcement that APL will resume similar operations in Peace River, AB, and add Grande Prairie, AB, to its service area. Once APL is operating in High Level and Fort Vermilion, scheduled for March 31, 2018, they will become Alberta’s largest air ambulance medical crew contractor in terms of number of aircraft staffed, which will be five, and they will provide air ambulance crew for four of the ten AHS base locations province-wide. “It is a privilege to be the new, primary provider of air ambulance service to the citizens of High Level, Fort Vermilion and area,” said Stephen Woodburn, APL Founder and CEO. 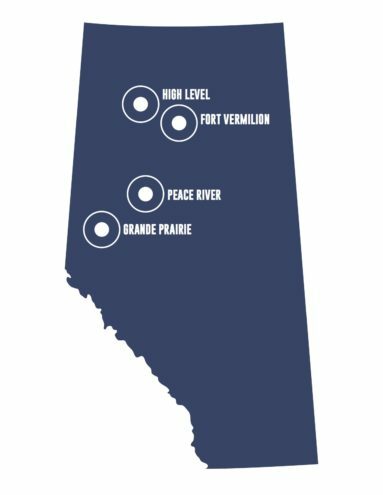 While Northern Air is the current aircraft provider for the Peace River contract, CanWest Air is the aircraft provider for Grande Prairie, High Level and Fort Vermilion. “We’re going to work together with APL, as we do any other medevac provider, to ensure AHS has a top notch service for the people who live in these communities,” said Justin Krasnikoff, CanWest Air Operations Manager and Pilot. Since 2002, APL has held the medical crew contract for Peace River’s air ambulance and was until recently one of three ground ambulance providers based at the Edmonton International Airport. Although the Edmonton contract will be missed, for Woodburn these new contracts are a big step in the right direction. “We look forward to being involved in each and every community we serve,” said Woodburn. As operations have continued without interruption at the Peace River-base, Woodburn has ensured the transition into Grande Prairie is going equally as well. In fact, Woodburn has even joined his medical crews on a number of Grande Prairie-based flights himself. “It’s important for me to go on a few air ambulance missions from time to time. It is very easy to get caught up in the office for long periods of time with no patient contact, and I really enjoy getting into the aircraft when I can or, most certainly, if it is required. It’s a great reminder of the important service we provide every day. It also gives me a great opportunity to spend quality time with our people,” said Woodburn. According to Brad Rideout, APL’s Team Lead for the Grande Prairie Base, it’s already business as usual. According to Woodburn, the public can expect the same high-quality air ambulance service experienced over the years in all four locations. “There are many details to work out, yes, but what we’re really about is our core values—compassion, integrity, professionalism, innovation and community…because people matter. We must be diligent in ensuring we bring those values with us everywhere we go,” said Woodburn.